Adapting to a life without a tooth, or multiple teeth, is difficult – eating the foods you love, and even speaking, can present a challenge. Additionally, leaving a gap in your smile can cause your other remaining teeth to shift out of their natural position -- jaw and bite issues may develop as well. Implant-supported crowns or dentures from our Roscoe, IL dental office offer a reliable, comfortable solution to tooth loss. 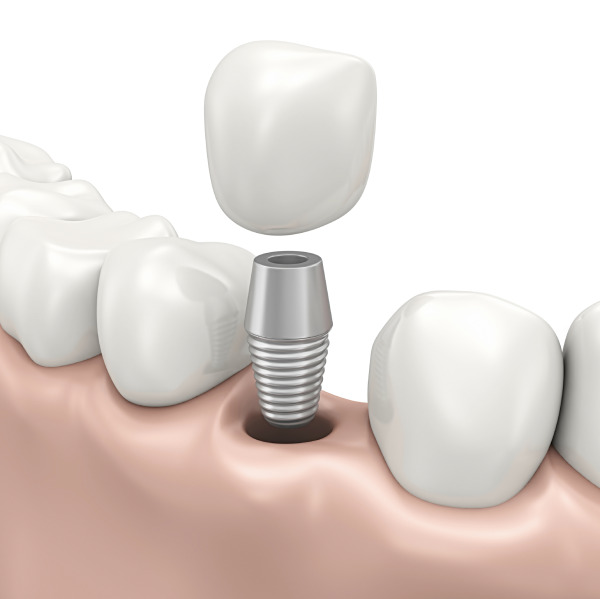 For decades, dental implants have been used to reliably restore missing teeth. Implants are small titanium posts that are surgically embedded within the jawbone – they fuse with bone to provide a stable base for new prosthetic teeth. Implants offer patients many benefits including long-lasting oral health, strong and durable restorative care, as well as a much-improved appearance. Crowns restore single teeth, while dentures replace multiple teeth. Traditionally, crowns are caps that are securely placed over a damaged tooth, and adhesive holds the dentures in place. But with implant-supported restorations, you no longer need to worry about slipping dentures, or unstable crowns. Implant-Supported Crowns: This procedure involves single implant and crown placement. The implant is placed in the location of the tooth's natural root, and fitted with an abutment onto which the crown is permanently fixed. Your crown will be made to match the appearance of your neighboring teeth in terms of shape, size, and color. Crowns are created in just one dental visit using durable, long-lasting materials that function as normal teeth. 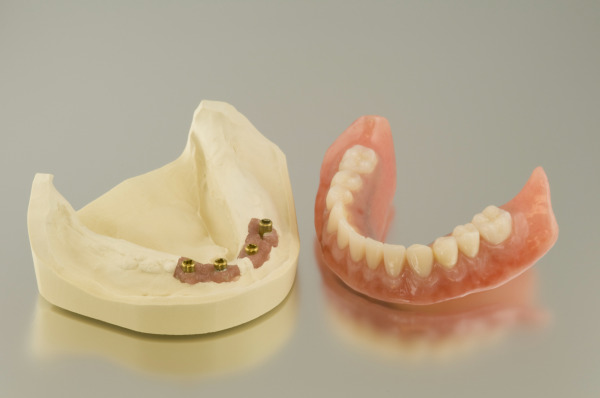 Implant-Supported Dentures: Using 4-6 implants for full dentures, we help you get strong and lasting replacements for whole arches of missing teeth. Dr. Bradel and Dr. Piper examine bone density and gum health to determine the right treatment plan before placing any implants. Your new custom-fitted dentures prevent the discomfort, inconvenience, and unreliability associated with removable dentures. Ready for a New Smile? Contact Our Office! 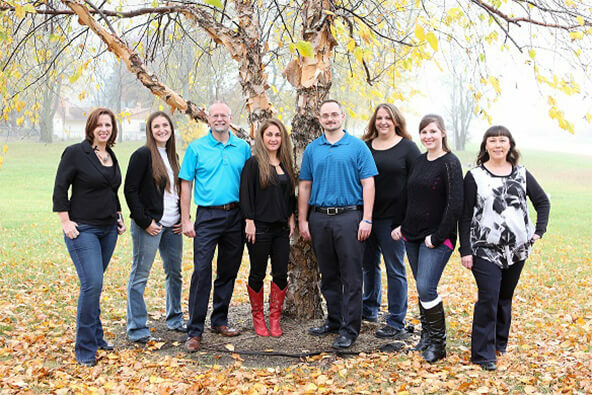 At Hononegah Dental, we offer implant-supported crowns and dentures to qualified candidates*. Whether you are considering dentures for the first time, or want to swap your removable dentures for fixed teeth, our experienced dentists are focused on delivering comfort for your dental implant treatment plan. Call our office today for more information about getting implant-supported crowns and dentures in Roscoe, IL. *Dental implants are not the right solution for everyone, and our doctors assess each patient on a case-by-case basis. Complex cases are referred out to trusted local specialists.